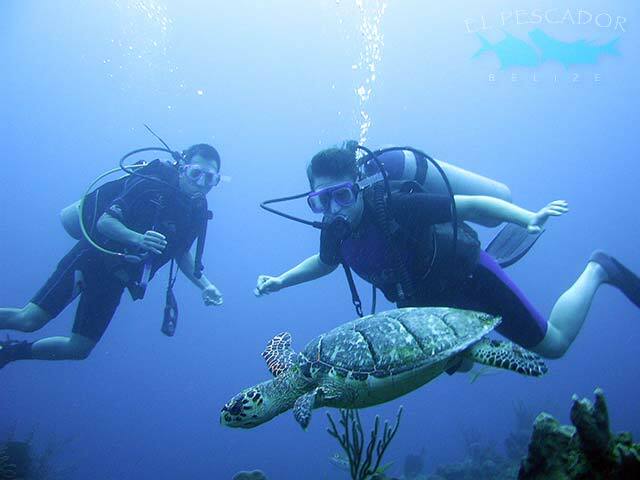 When you think of diving destinations, you probably don’t think of Belize straight away. But the more you delve deeper (pun intended) you’ll soon realize it’s the perfect scuba-diving destination. Behind the Great Barrier Reef, Belize offers the second largest natural coral reef in the whole world which is just one of the reasons you need to visit here. The water in Belize is so clear you won’t have any problems spotting the teeming schools of fish and wildlife, especially when you head over the the small island of Ambergris Caye – although you’ll need to keep your eyes out for the hammerhead sharks and stingrays. When people think of Iceland, they normally think of, well…ice, for one. However, in the summer, the ice melts and Iceland is covered in incredible mountain ranges, green plains, and some of the clearest water known to man. 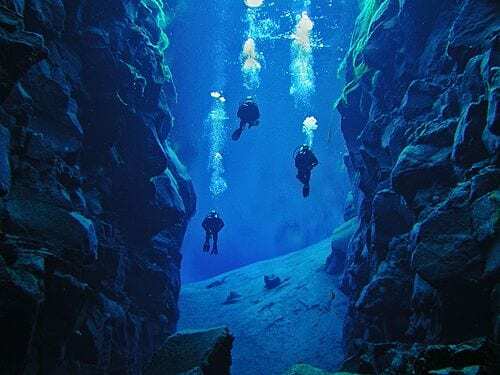 Silfra in Iceland is located in the middle of two continental plates so you can literally dive between America and Eurasia – the only place in the world you can do so. Although this area is not full of exotic wildlife, the underground landscape is something not to be missed. We don’t need to tell you what kind of discoveries Charles Darwin made on this island – and these discoveries mean the island is teeming with wildlife. In fact, 20% of the marine life found around Darwin Island cannot be seen anywhere else in the world! With everything from sea lions, to penguins through to hammerhead sharks, marine iguanas and more, you’ll definitely need your underwater camera ready for this dive. Although the currents are strong in these waters, the views make up for that little extra push. Just a pre-warning, diving in Anacapa Island will be cold. Very cold. So if you don’t mind donning a wetsuit, gloves, hood, and boots, this dive is well worth it. The water here will give you around 50 feet worth of visibility so you can see the incredible views in front of you. 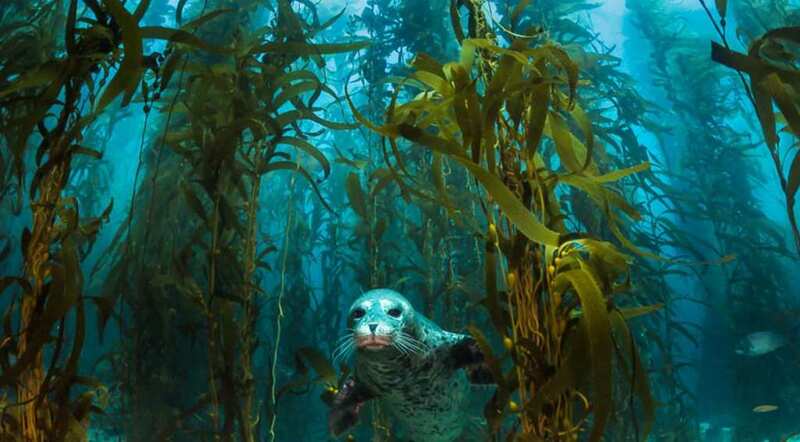 You can explore shipwrecks, dive underneath underwater arches, play with the sea lions, make your way through the kelp forests and swim with the rays. Do all that, and you’ll forget how cold it is. Bonaire is the ‘B’ within the Netherlands Dutch Caribbean ABC islands, located off the coast of Venezuela. It’s becoming an increasingly popular diving destination for beginners, intermediates, and experts who want to see the best of what the sea has to offer. With over 469 species of fish residing in this ocean, you won’t be short of things to see. 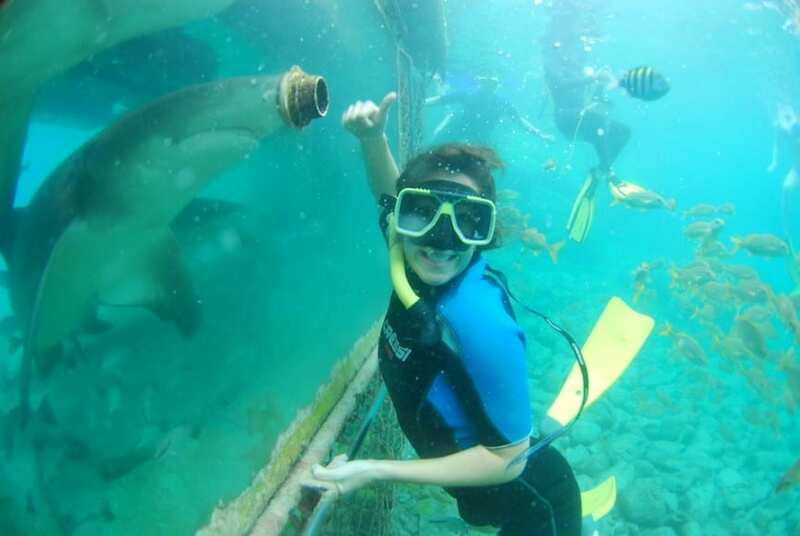 From seahorses to squids, to reef fish and colorful corals along its 86 diving sites, there is something for everyone.